We’re receiving multiple and in fact frequent reports that Theraphi rejuvenation plasma – can be effective with pain relief and rejuvenation REMOTELY / at a distance. Originally we had significant numbers of Theraphi users who consistently reported being able to feel when Theraphi were switched on – even when they were at great distance. Our good friend Mike Harris (from his radio series) – is one of those who after telling us that multiple friends told him he looked younger after his Theraphi series- also told me emphatically he could feel when Theraphi systems were switched on remotely. This effect did seem to be amplified if people were watching the Theraphi session virtually with sight and sound. The Skype global Theraphi meditations- we experimented with were so effective – and felt so potent that we decided to wait until we were better organized and better understood the physics before proceeding. We also gently wait for the right leadership teams. We are clear – making the tornado (Theraphi) is powerful- but STEERING the tornado (your intention – focused and centripetal) – is ESSENTIAL. Hi Bengt, Thanks for all the love and compassion and work on Joyce. Another day filled with bliss, love and laughter. This morning around 6 am HK time, when you turned the device on, she felt the tummy pain and some pain in the surgical area of her brain, and she woke up to use the bathroom and I was also awaken. As usual (during the blind sessions), I wasn’t able to feel or think anything while asleep (contrary to my original sleeping patterns, usually around 6am I’d have some vivid thoughts/dreams). The pain over my body was completely gone, though in the last couple days I’d had slight headache in some spots in my brain that lasted for about 20 minutes, couple times a day. 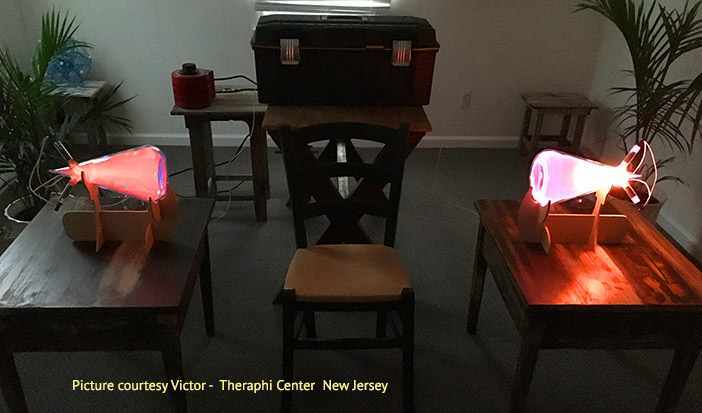 When you were performing a live TheraPhi session online this morning, Joyce felt the energy above her head and she described to me that she saw the images of the lights being turned ON one by one inside her body, a very new and strange experience in her own words that has never happened to her before. She even used the term “photons”. Later this morning she went into another breathing practice and described that this time she saw a strong bright glowing light inside her body and KNEW that all the lights are turned on AT THE SAME TIME… I think she’s very sensitive and gifted in a way that whenever she feels something different in her body she’d automatically think about the energy that is at work and ask me if Bengt has done something… and it usually was the case!